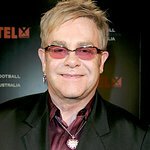 Celebrities such as Elton John, Carson Daly, and the members of the rock band No Doubt will kick off the Fifth Annual Hillsides Foster Soles, an online auction of celebrity autographed shoes, accessories, and other personal items along with their signed headshots. Dr. Drew Pinsky, host of the nationally syndicated radio show “Loveline,” along with his wife, Susan Pinsky, will serve as co-chairs. A party to launch the auction will be held at Bar Celona restaurant in Pasadena on Wednesday, May 22, 2013, from 6:00 p.m. to 9:00 p.m. The online auction runs from May 22nd through June 1st to coincide with Foster Care Awareness Month, which raises awareness of national foster care issues and the plight of children and youth in the system. Hillsides, a Los Angeles children’s charity, based in Pasadena, is asking celebrities to donate autographed shoes, accessories, and other personal items along with their signed headshot. This year Hillsides is celebrating its centennial, so they are expecting participation to be greater than ever. Other celebrities who have participated include Adam Sandler, Ellen DeGeneres, Faith Hill, James Franco, Zac Efron, Reese Witherspoon, Halle Berry, Tim McGraw, Ellen Pompeo, John Stamos, Denzel Washington, Seth Green, Mario Lopez, Sugar Ray Leonard, Adrian Grenier, Nancy Grace, Wendy Williams, Gabriel Iglesias, Jane Kaczmarek, Billy Bob Thornton, Tim Allen, Jimmy Kimmel, Joan and Melissa Rivers, Larry King, Anderson Cooper, Piers Morgan, Dave Koz, Charles Barkley, Robert Horry, Billy Zane, Mike Epps, Marlee Matlin, cast from Burn Notice, Chelsea Handler, Markie Post, Mark Harmon, Pam Dawber, Kate Linder, Edie Falco, Rona Barrett, Kim Coates, Kaitlin Olson, Devon Werkheiser, Samantha Harris, cast from The Bold & The Beautiful and many more. Guests who bid on May 22nd will get a chance to view celebrity shoes, purses, belts and other accessories as well as set visits and signed scripts until the auction’s closing date on June 1st. Bar Celona, located in the historic Colorado Boulevard retail district of Old Pasadena, is the creation of local entrepreneurs Jack Huang and Karen Tanji, who is on the board of directors of the foster care charity. Set on a stage of rich crimson red and hues of mellow mustard, Bar Celona invokes the traditions of the traditional tapas bars of Spain, with handcrafted murals of ‘the running of the bulls,’ wine offerings geared toward those of the Spanish vineyards, house-made sangrias, and the popular small plates that trigger a smiling sigh. Bar Celona, celebrities, and bidders of Hillsides “Foster Soles” can be assured that putting their best foot forward ensures that Hillsides can create lasting change in the lives of at-risk children, youth, and families. To learn more about the Foster Soles Celebrity Charity Auction or Hillsides, click here.